The all new Nail Trail E series of eMTBs bring a new zip to mountain biking, allowing riders to go farther and have more fun than ever before. These trails hardtail models were built from a performance mountain bike DNA, making them feel at home under the seasoned professional or any different fitness levels allowing more people than ever to share the joy mountain biking, maximizing the adventure with half the effort. The Nail Trail E bikes are for mountain riders who need a boost, either to cover more distance in a shorter amount of time or to go farther or higher than they might be able to accomplish on their own. Built around a Series 3 frame with modern geometry and no compromise components, the Nail Trail E is sure to open new horizons to riders. Forged Alloy, 148x12mm, Quad Sealed Bearings, Centerlock Disc, 32H. 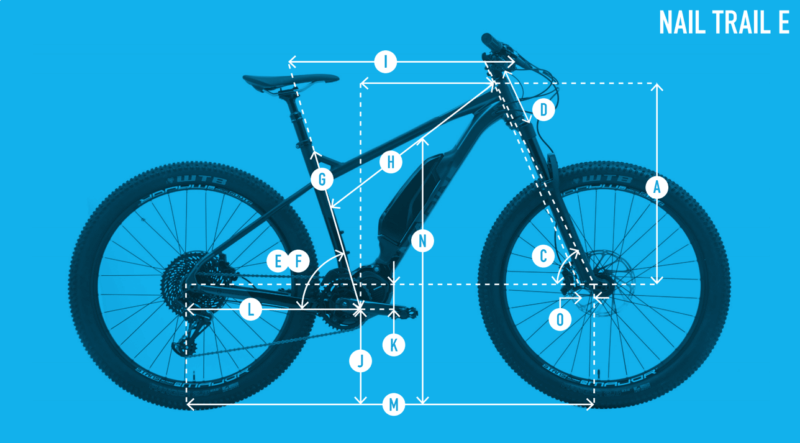 Shimano’s STEPS E8000 system is both powerful and lightweight, with the mid-drive motor down low to help ensure that the Nail Trail E performs like a typical mountain bike, but with a 250W boost. Three levels of power give riders options to balance electric power, speed and range. Electric assist up to 20mph in the US, 25kph in Europe. Boost, Trail, Eco and Walk settings can be quickly changed during the ride. Series 3 6061 aluminum MTB frames were built to combine Marin trail geometry and the fun of electric assist trail riding bliss. The frame features a cast motor mount that cradles the Shimano STEPS electric assist motor as well as a forged downtube with semi-integrated battery, internal cable routing, and Boost 148mm rear spacing. Powerful four piston brakes with 203mm rotors make the Nail Trail E a solid performer when it's time to drop in and get rowdy. Both Nail Trail E models are spec’d with stout 140mm travel forks and front and rear thru axles for maximum control and stiffness on the trail. The Nail Trail E is spec’d with a stout 140mm travel fork and front and rear thru axles for maximum control and stiffness on the trail.